Recently my Mum passed away unexpectedly back in New Zealand. 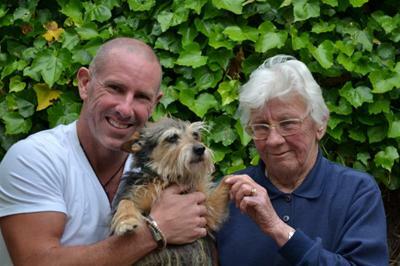 She was an amazing woman and the best Mum a bloke could ever have. My father had Dementia and Mum cared for him during the final years of his life. It was very tough on both of us. I saw a show on TV about what carers go through and it brought back memories of my childhood and what we went through when Dad was sick. A Charity called The Dementia Carers support group featured on it so I decided to do this for them in memory of my Mother. This charity gives the carers a lifeline, the possibility to meet others like them, time out from caring and a place where the sufferers get to have some fun in a safe environment. In order to raise money, I decided to take on a challenge. My fiance Maz is Norwegian (and no, I can’t afjord her!!) and she suggested the perfect task. 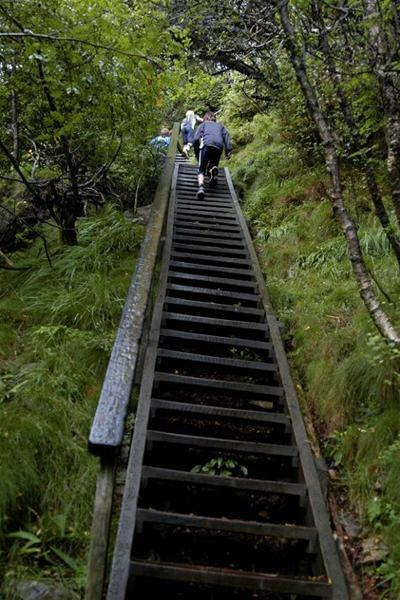 It’s a hard run up the rough stone stairway from Fjellveien to Sandvikspilen. 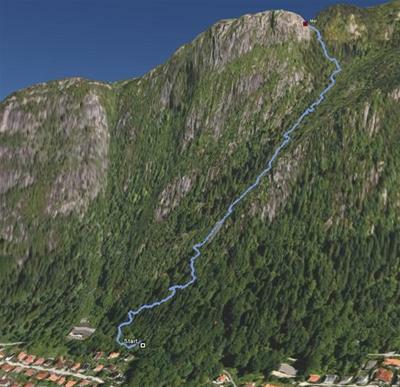 Sandviksfjellet is a mountain in Bergen, and one of the traditional seven mountains that surround the city centre of Bergen. The mountain is 392 m high.The track has a gradient of 315.5 meters and consists of 801 steps. Trust me its tough! – I finished it knackered but proud, and raised £3,500. My average HR was 187 BPM !!! Thanks for taking the time to read these words and hopefully donate to this great cause. Tags: Chelsea, Fitness Coach, Graham Fairley, inspirational training, Kensington, Notting Hill, Nutrition and Weight Loss, Older adults, perfect posture, personal trainer, Personal training, pre and, strength and aerobic training, Weight Loss in Kensington. Bookmark the permalink.